Want to learn it all? AND get the biggest bang for your buck? Well, for a very limited time TheScrabbleGal is offering EVERYTHING you've read about above - $80 value - for only $33! That's right -- You can save $47 by ordering all 4 TheScrabble Gal products together! 3 Full-Color Photo PDF Tutorials PLUS 1 40+ Page Full-Color E-Book. Together this package contains over 120 instructional diagrams and photos! An $50 value for only $29.97! Save $20 on all 4 of TheScrabbleGal products by ordering right now! You will receive SCRABBLE GAL Ultimate Project Pack instantly. Simply click on the "Get Started Now!" button below. All E-Books and Tutorials by The Scrabble Gal are copyright protected. Tutorials may not be sold, copied or forwarded without written permission. "Recommended by customers in 37 states and 12 countries as the #1 "go-to gal" for learning how to make Scrabble jewelry." "Have you heard what other crafters are saying?" "What a wonderful tutorial! 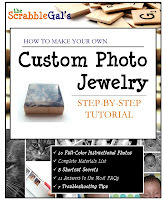 I've never seen any instructional ebook more professionally done than this one. I highly recommend anyone who is interested in learning this craft to purchase this pack. You will learn invaluable tips and tricks and be on your way to creating beautiful Scrabble jewelry (and the likes) on your own. Laura is wonderful to work with!" "Laura is just plain awesome! Tutorials were even better than described! Great investment to cut out many of those beginner mistakes that newbies might make!Thanks Laura!" "You rock girl! This is a fabulous deal! 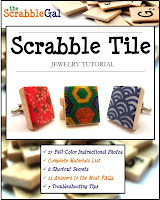 I was already making Scrabble tile jewelry, but this has SO much useful info. Great job! You can tell a lot of work went into this E-Book." "Fast delivery, and great project package! Informative and clear with lots of photos and diagrams. Laura is very nice and extremely helpful with any questions. Thanks so much, Laura!" "Received the tutorial. Thank you so much. Totally comprehensive and wonderful pictures. Thanks!!!!! Great great seller! Highly recommended. :)"
"Thank you! The pdfs came super fast and after reading Scrabble in Style V1, I am impressed at the attention to detail and abundance of information provided! Thank you again!" Everything You Need To Know, All in One Place! "Great tutorial. Everything I need to know! No need to go anywhere else for ideas or directions. And Laura was extremely helpful with my questions as well!!" "In this package you get everything you need to know!" 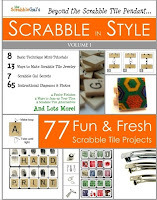 "Not only is this a great ebook with a fresh take on scrabble tiles, but the service was EXCELLENT!! Thank you!" "Lots of good information...great customer service...how sweet it is when you purchase something and the seller says if you have a problem just get in touch with them...what more can you ask for!!! Prompt, friendly service." "These Books Are A Bargain!" "These ebooks are very well done, very professional. Easy to understand, great pictures, excellent directions. This is a bargain! Thanks!" "Within 15 minutes of my payment, the item arrived in my inbox! Awesome! It definitely includes info promised plus some! I will have fun gettin' creative! 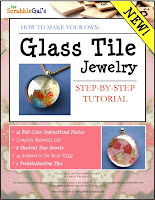 :)"
"I received my tutorials via email quickly and have already started working on projects! I get so excited when I have something new to try! Thanks Scrabble Gal!" "Wonderful Seller! PDF was sent through immediately, and I am Really Pleased with it, It's Very Well thought out, Clear and Easy to follow ~ Thank You so much for offering such a Great Resource :)"
"A fabulous How To manual - EXTREMELY pleased I bought it. And super-fast delivery to my requested email... thank you ! :)"
SCRABBLE® is a registered trademark. All intellectual property rights in and to the game are owned in the U.S.A and Canada by Hasbro Inc., and throughout the rest of the world by J.W. Spear & Sons Limited of Maidenhead, Berkshire, England, a subsidiary of Mattel Inc. Mattel and Spear are not affiliated with Hasbro. TheScrabbleGal is in no way affiliated with or endorsed by these companies.